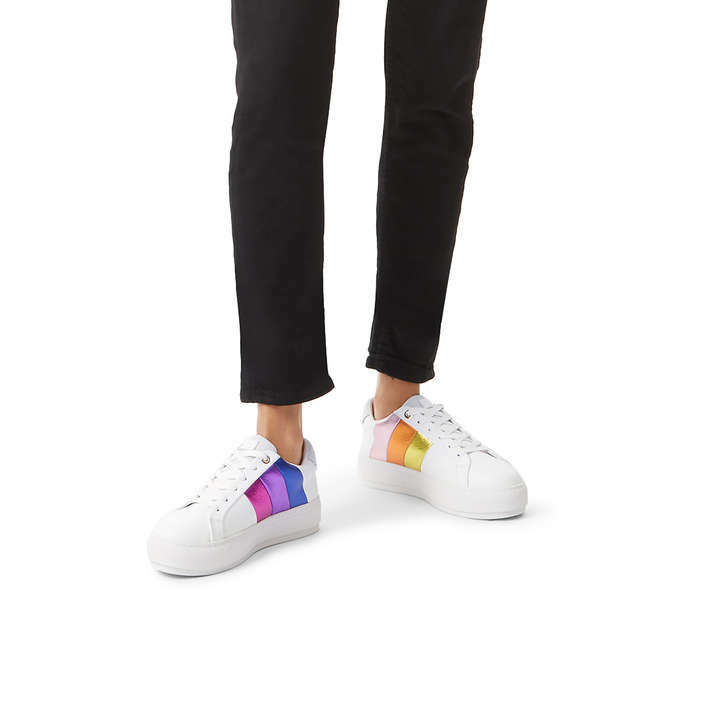 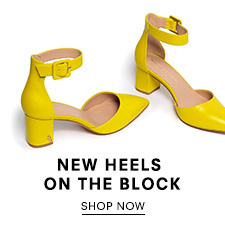 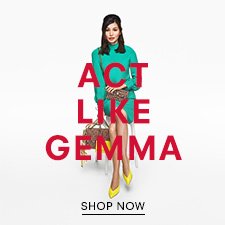 Kurt Geiger London Laney Rainbow presents a new twist on the the popular Lane trainer with it's pumped up sole. 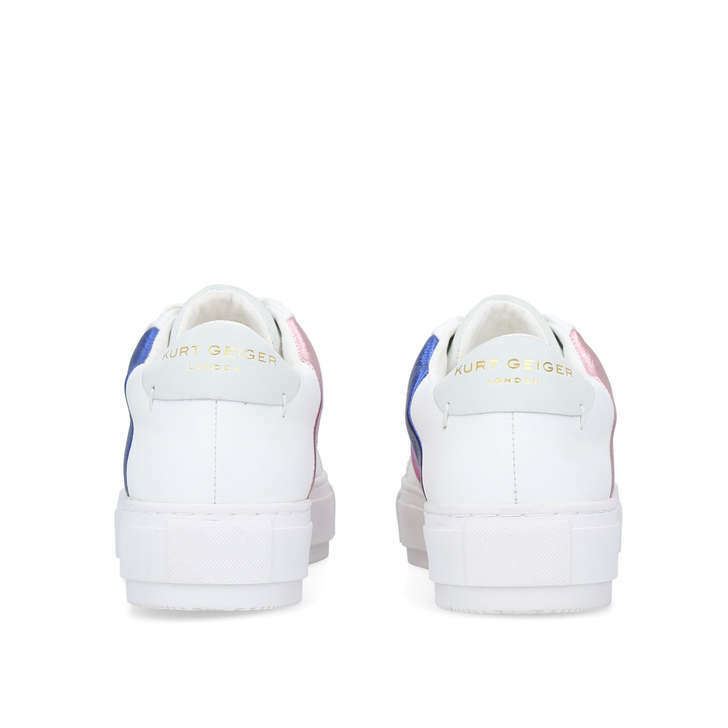 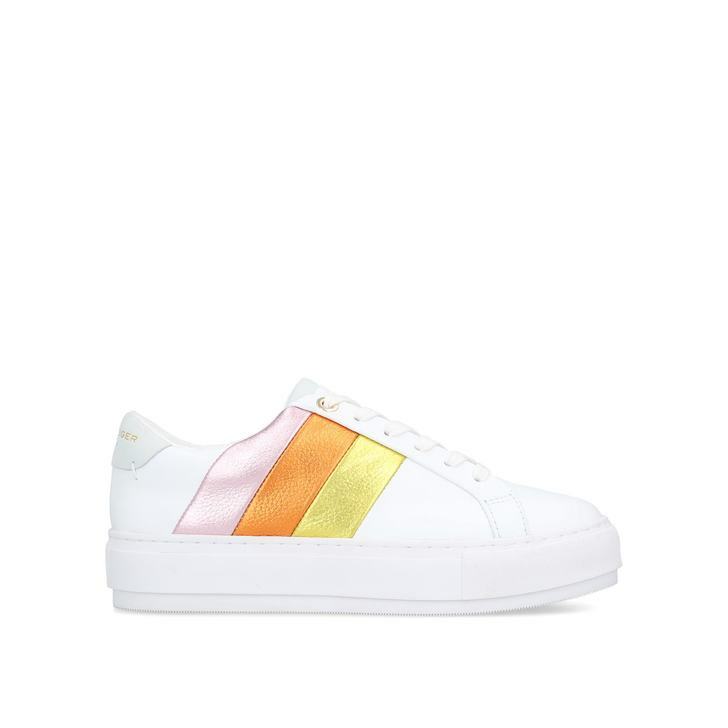 Blending a classic low-profile trainer shape with ice-white leather upper with metallic rainbow stripes. 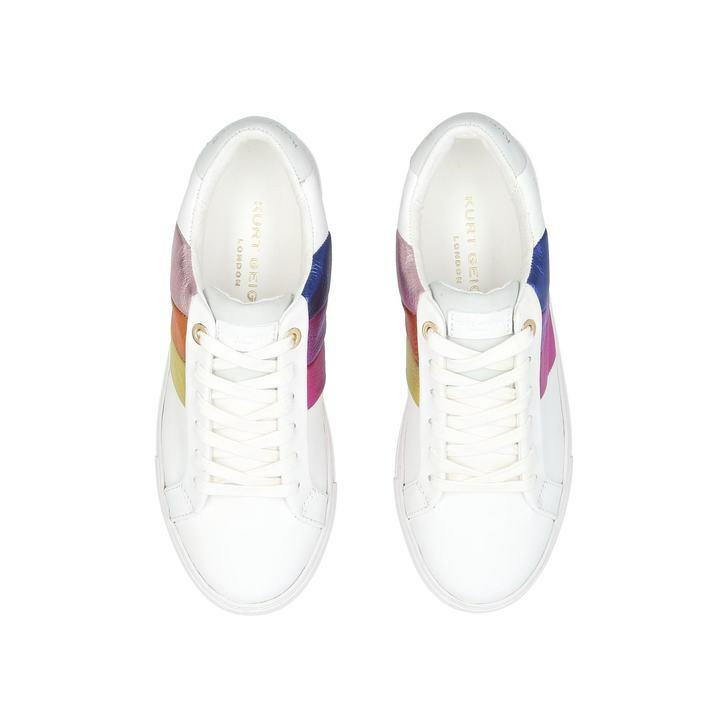 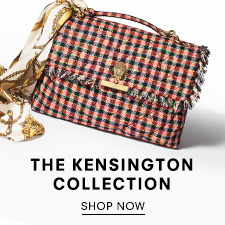 The rainbow stripes on this trainer take their inspiration from the best-selling Kensington bag.